Purchased a Nikon P900 Bridge camera last week. 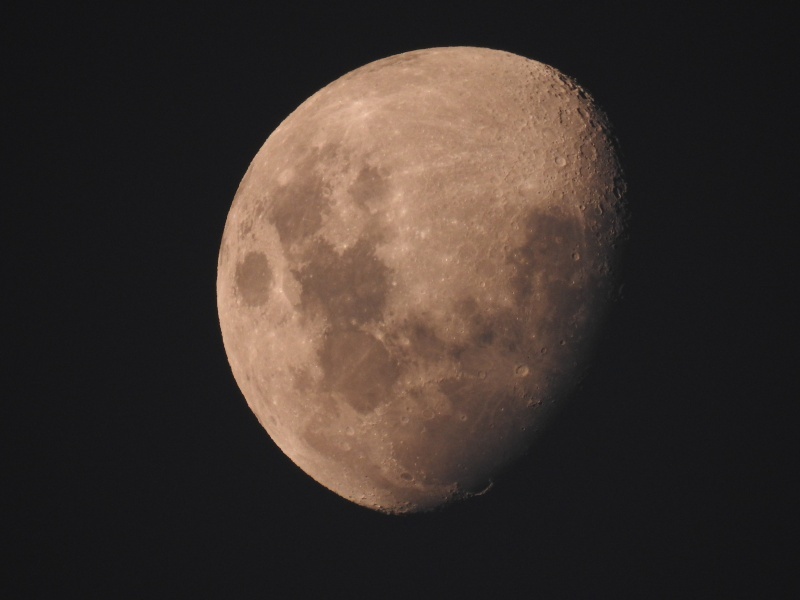 Here are a couple of HAND HELD snap shots of the moon from last night. Hand held no support or tripod. 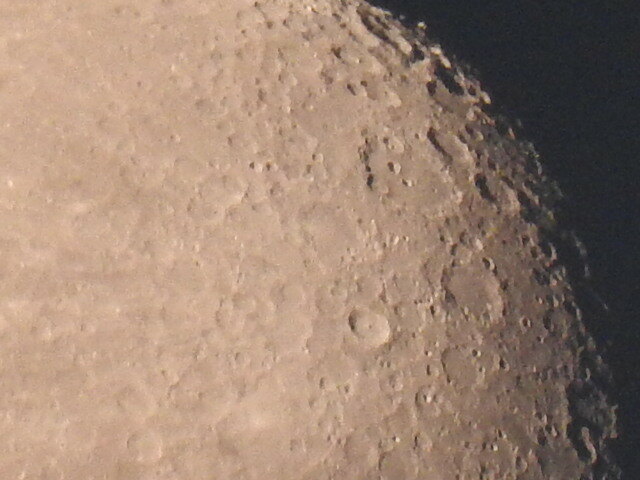 The camera does not produce the sharpest of images but for moon shots the 24 to 2000 mm zoom is amazing for 600 dollars. Looks very much like some CZL ground in centre of shot. Is there gold on the moon? 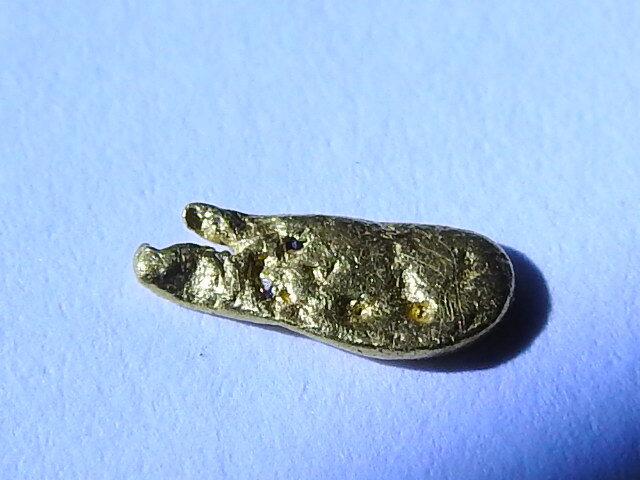 I guess if gold grows from/in aqueous mineral solutions then no gold on the moon. But if it forms from molten mineral conditions then maybe yes....As in, heaps of it on the moon. When we have mined all of the gold here, we will have to get it from the moon which will make it impossibly expensive for mere ordinary mortals and if we cannot afford it then there will be no point in mining it any more. After all approx 80% of all gold today is in jewellery. I reckon you live in a very clean atmosphere, no dust or salt crystals to create fuzzy outlines. 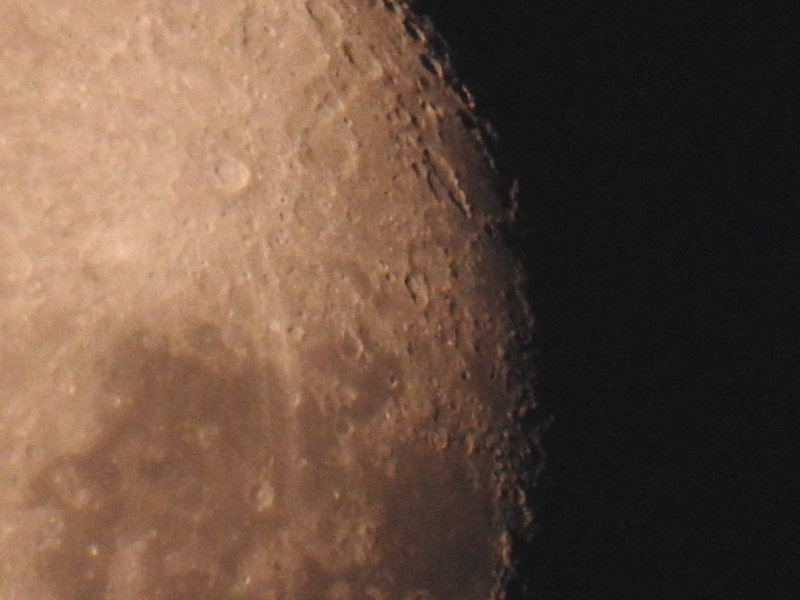 Would like to see your camera take astro pics through my old 6" reflector 'scope, could be bloody sensational. Hand held, must have been a pretty fast exposure time, but new technology makes an expert out of everyone. I bought my missus a little Samsung WB350F with 21x zoom a couple of years ago. When she takes a pic she jiggles both the camera and herself but the results always great. 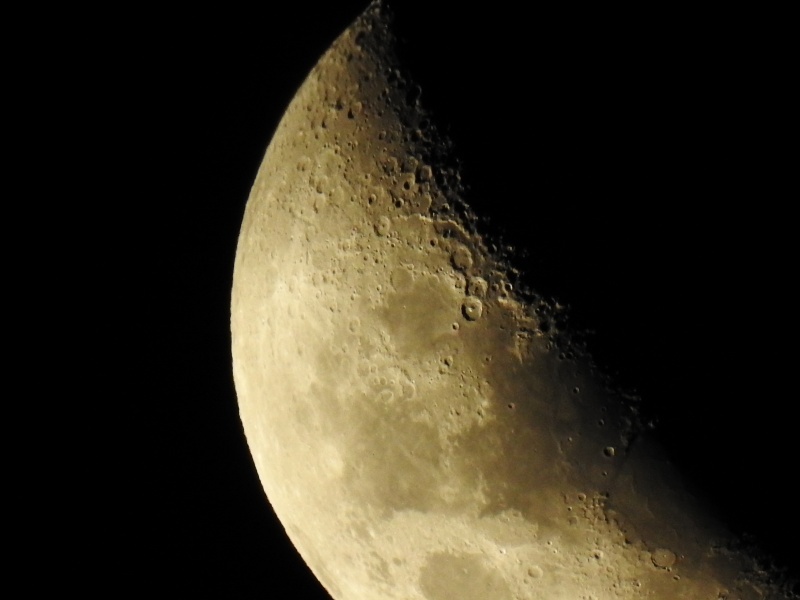 The seeing was very crisp last night, but even so, this camera has some serious image processing ability. The camera has a "Moon Mode" and a Time Lapse Mode but even in the normal Auto Mode it produced a good shot of the moon. I do not recall the shutter speed or the f stop even though they were displayed on the screen at the time. I will check that out again tonight. As to where hooking it to my home built 6 inch reflector is concerned. Well I will give it a try but I see no need to do that for moon shots. That would put a lot of glass between the camera and the moon which may degrade the results a bit?? Plus, it will be physically awkward. boobook wrote: I reckon you live in a very clean atmosphere, no dust or salt crystals to create fuzzy outlines. Hey Michael, Adrian lives in Canberra all smoke & mirrors there??? 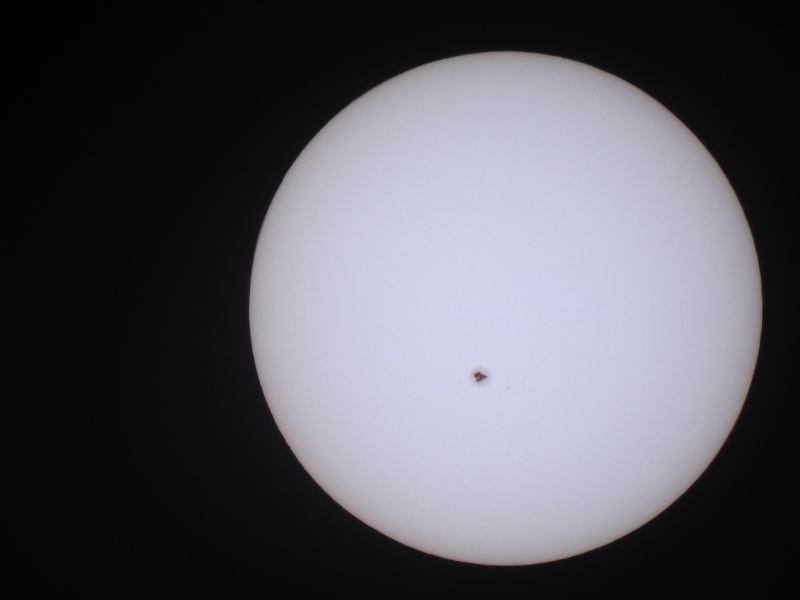 A couple of quick shots of the sun just now taken through a Mylar filter. The spot is approx 36,000 km in diam.... You could fit 3 Earths side by side in there. Sun spots are not really black. That is an optical illusion resulting from the fact that the spot is much cooler than the surrounding regions. They are however still extremely hot. Hi Adrian, they are great shots mate, I run a Nikon D610 and have a subscription to Lightroom and Photoshot - if you were interested I could try running a couple of shots through the processor to sharpen them up PM me if you are interested and I will send you my email address to send the shots through to. May put up a couple of y aurora shots I have had published in the Canberra Times. A couple of pics from tonight. Again with the cam held against the pergola post. The results are amzingly good, be interested to see how it would go on a zoom of Jupiter - should pick up its moons and possibly a cloud belt or two. I tried it on Jupiter last night and yes the planet and moons were all there but not successful pics in auto mode. 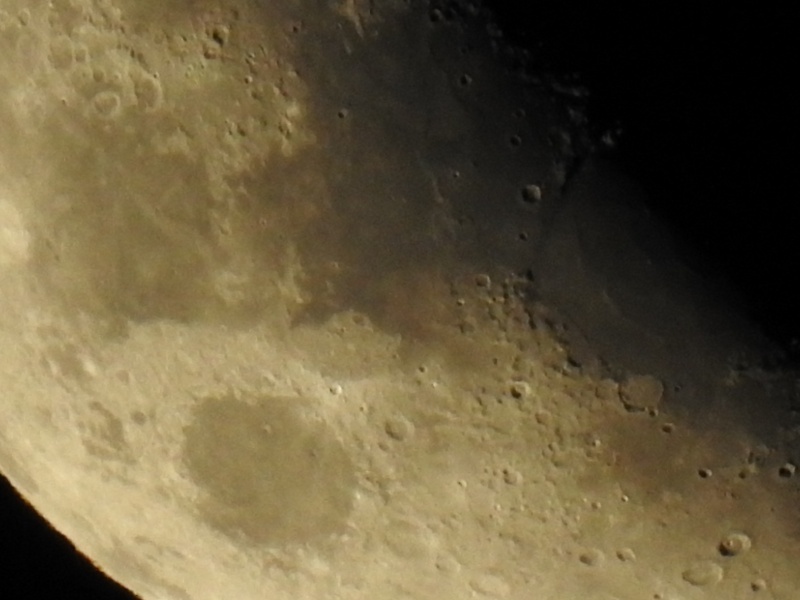 Will try again in manual and on a tripod. It snapshot the Southern cross ok a couple of mights back but that was at wide angle... At max zoom on small bright objects the auto mode gets confused. I am still learning the camera. 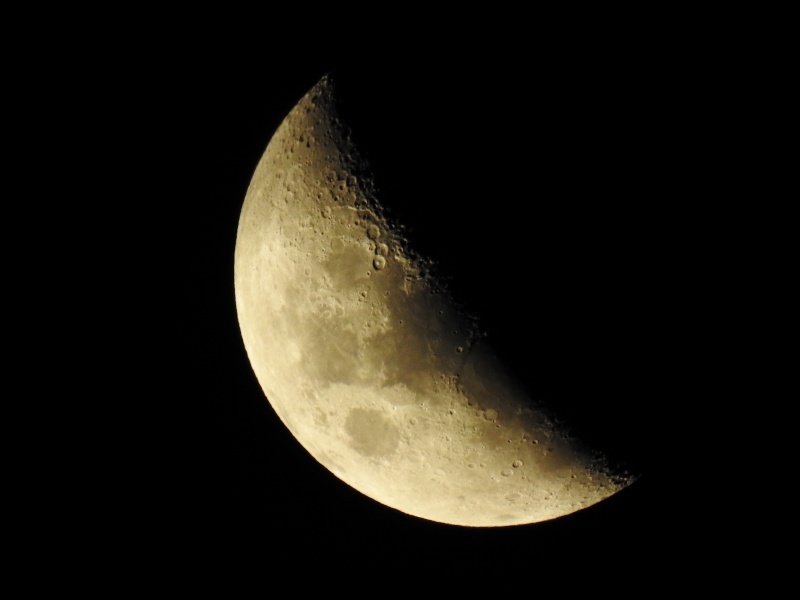 I think for shots of the planets I will have to change the light metering mode to Spot Metering and use manual focus. The moon pics last night were taken through thin misty high altitude cloud and yet the background sky is black without significant haziness? Yeah next clear night I will give manual mode a try out. P900 does not have Raw. My first attempt at Jupiter...Hand Held. Got a bit of work to do me thinks. I have been able to get a brighter pic but not sharper. adrian ss wrote: I have been able to get a brighter pic but not sharper. 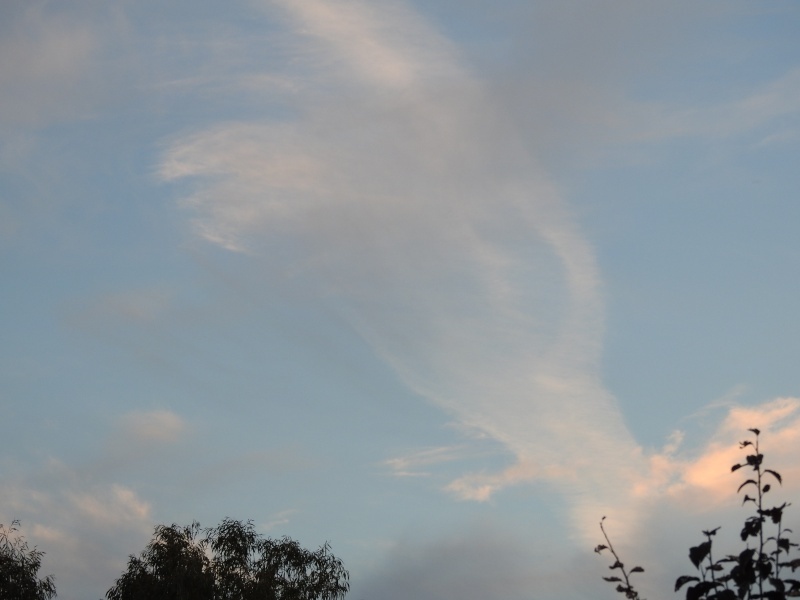 I still reckon its the ordinary atmospheric conditions. I have had mine for about 6 months now. It's not perfect, but nothing I could possibly afford or could carry would give me the 2000mm equivalent focal length of this camera. Camera shake is really hard to avoid hand held at long fl. Use a tripod and timer or remote release. I couldn't figure out how to post full sized images, so these thumbs are links to a website where I Uploaded the images. Ignore the ads at the bottom of each page! The moon was shot rising during the start of the total eclipse a few months ago here in Arizona. Thanks! 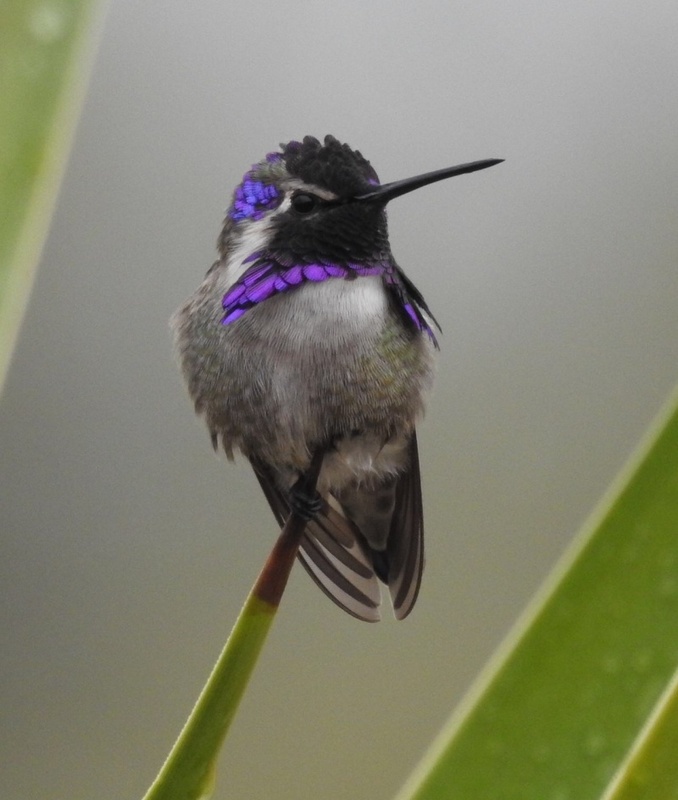 We have four or five species of hummingbird here in Arizona. This one is Costa's Hummingbird. He's about 3.5 inches - 9cm. 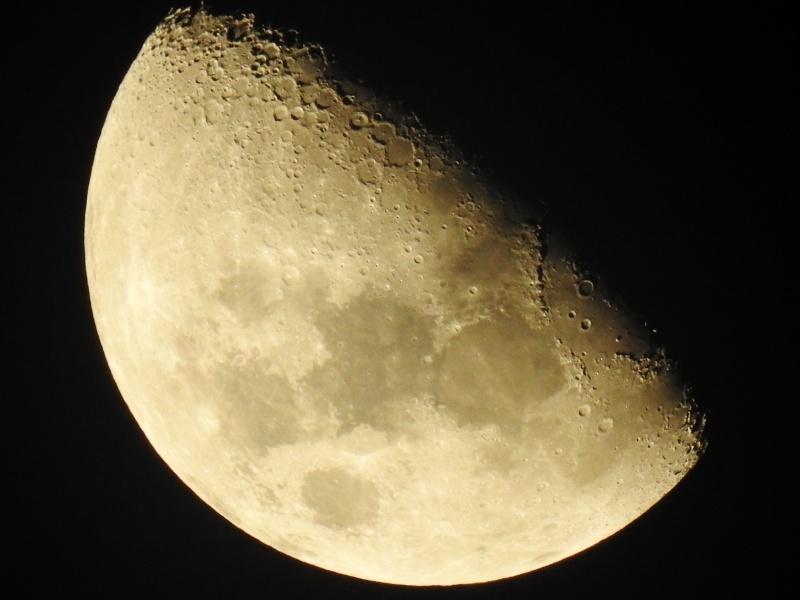 You may be right Ian although my other pics of terrestrial objects are not tack sharp and it is likely the best that, as a bridge cam, the P900 can achieve at high zoom on objects of very small angular size. Better results would be achieved with a good DSLR or film cam. last night sky was terribly misty.I was not expecting a good result. I selected manual focus and spot metering. Even so. 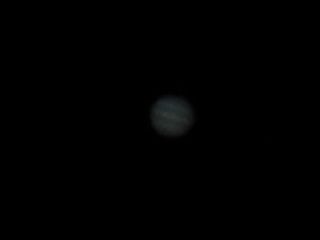 Getting a recognisable zoomed pic of jupiter through a hand held cam has been almost impossible up til now, so the P900 is worthy of some credit. Next attempts will be on a tripod with remote shutter release. It is worth noting that jupiter and the moons were very clear in the view finder but not so flash in the final pic with the moons not appearing at all. At the instant of exp, the F stop closed down. Pretty stable picture, they must've used a tripod for that one, no camera shake from being hand-held or leaning up against a post. Now that is what I would call A Ride. Far out and Far in maaaan. 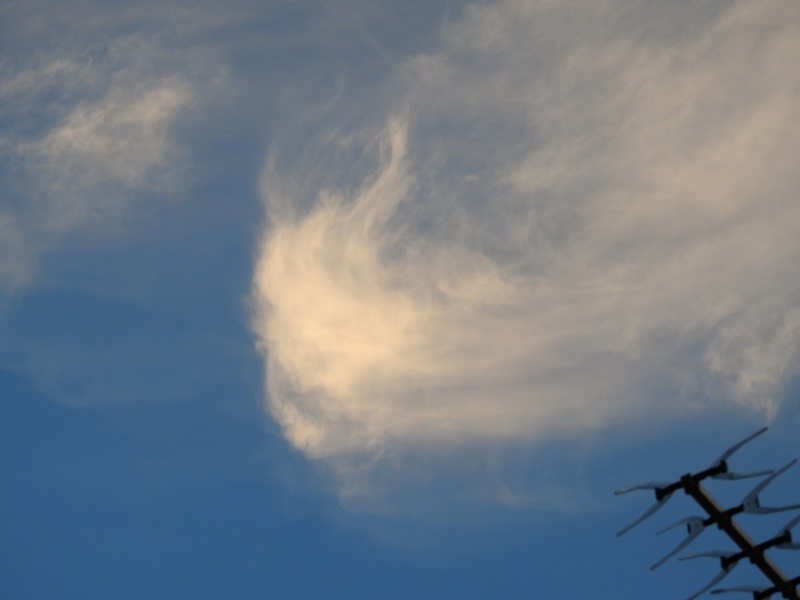 And was chased by this bloody big eagle. Still have not been able to get a good shot of Jupiter or Mars. These shots of the moon tonight. Quite marvelous getting a reasonable image at that zoom, f6.5 ratio is okay but the actual aperture is only 55mm, far too small for that amplification. Amplification is dependent on focal length but resolution is dependent on lens diameter or the angle the light rays from the subject make with the lens diameter, which in this case it is very small. Love to play with one though. Nothing flash re the details. Stuck the 900 on an old Velbon tripod that belonged to Dad. 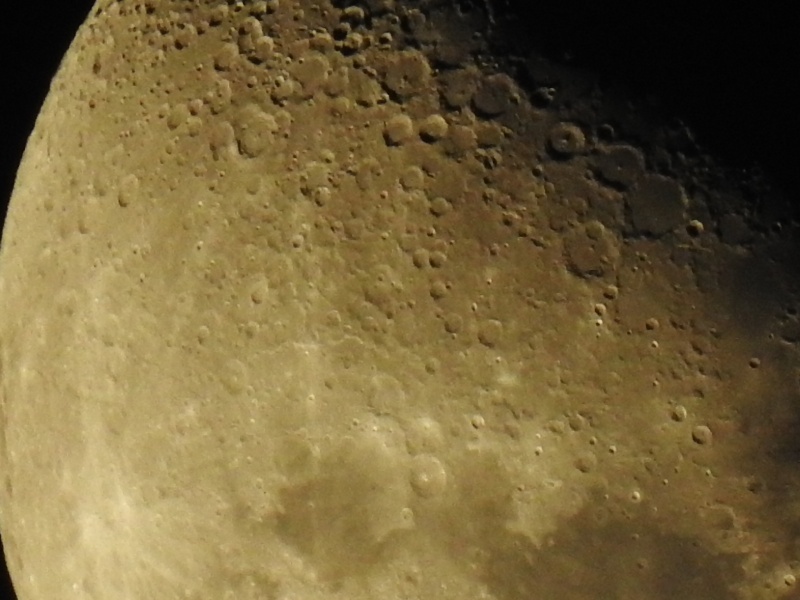 Set it in Moon Mode, and ran of a few shots at dif zoom settings, kept the ok shots and deleted the rest. I will pay a bit more attention to the display details next time. This hand held a few mins ago at x 2000 f6.5 1/500 sec.